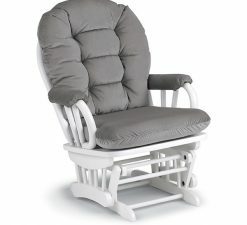 An extra cushioned back features Hector sewn buttons which provide more comfort and no lost buttons. 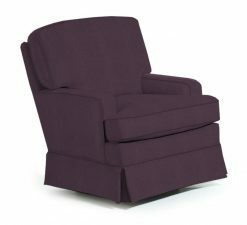 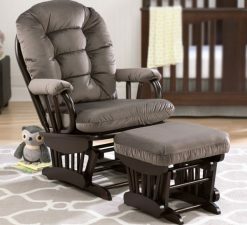 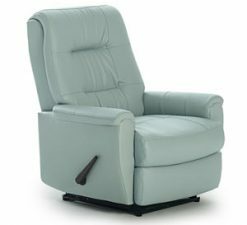 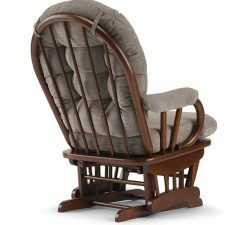 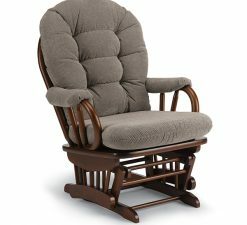 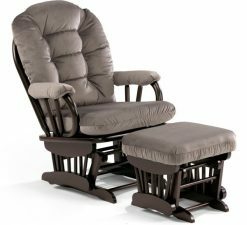 Not only does this glide rocker have a whisper smooth, long-glide motion, but comes with an optional handle lock for extra stability when standing up and sitting down. 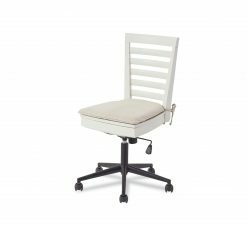 Available in White, Golden Pecan, Espresso, Natural Finish and Victorian Cherry finishes. 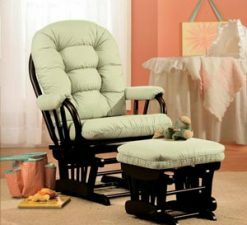 Matching glide ottoman and nursing ottoman also available.